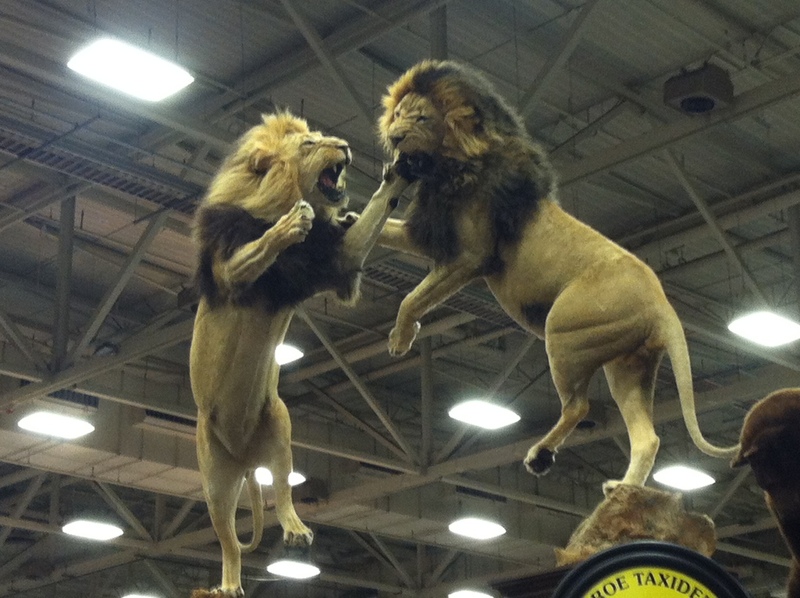 The Extreme Huntress™ Competition is about preserving our outdoor heritage. 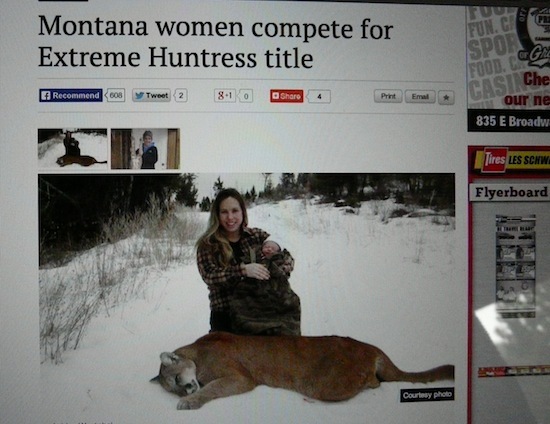 Our goal — create positive role models for woman [sic] who want to participate in hunting. With 50% divorce rates and kids becoming invested in sports as [sic] a younger and younger age, we feel if mom goes hunting, so will her children (ExtremeHuntress.com). these people are frightening and sad and infuriating – tired of the posturing that comes at the expense of animal life. These women remind me of the girls in high school who would run over cats for “fun” Well, I guess this is what they grow up to be. I really wish these types of people (if they even deserve to be considered human) were better studied. Scientific research about what went wrong or what’s broken in such people would be both fascinating as well as helpful. Off the top of my head, I can think of the women hunters I know or know of including a pre-med student, a wildlife biologist, a Yoga instructor, a grandmother and a woman who doesn’t let being confined to a wheelchair slow her down. Any one of them would be sure to laugh herself silly over the completely baseless and bizarre assumptions being tossed around here about what could possibly be “wrong” with them.